We take too many prescription drugs. A study in JAMA(2015:314(17):1818-31. Nov. 3, 2015) was titled, “Trends in prescription drug use among adults in the U.S. from 1999-2012.” The authors used data from the National Health and Nutrition Examination Survey (NHANES) which included 37,959 adults. The authors found an increase in overall use of prescription drugs among US adults between 1999 and 2012. The most upsetting part of this study was the polypharmacy aspect. The researchers reported that 15% of Americans use at least five prescription drugs. Folks, this is a disaster. Where are the studies that show it is safe to take five or more prescription medications at one time? There aren’t any. Perhaps the increased use in prescription medications resulted in better health outcomes. If you believe that, I may have some swampland in Florida for you! In every health indicator the World Health Organization tracks we finish last or near last among every Western country. We don’t live as long as other Western people and we have more chronic illness. Things are getting worse for us, not better. And, we spend nearly 20% of our GNP on health care–over two-fold higher than any other Western country. Clearly taking more drugs is not the answer. Admin said: > We take too many prescription drugs. A study in JAMA(2015:314(17):1818-31. Nov. 3, 2015) was titled, “Trends in prescription drug use among adults in the U.S. from 1999-2012.” The authors used data from the National Health and Nutrition Examination Survey (NHANES) which included 37,959 adults. The authors found an increase in overall use of prescription drugs among US adults between 1999 and 2012. > > The most upsetting part of this study was the polypharmacy aspect. 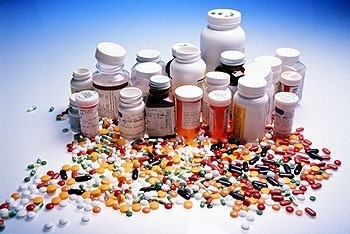 The researchers reported that 15% of Americans use at least five prescription drugs. Folks, this is a disaster. Where are the studies that show it is safe to take five or more prescription medications at one time? There aren’t any. > > Perhaps the increased use in prescription medications resulted in better health outcomes. If you believe that, I may have some swampland in Florida for you! In every health indicator the World Health Organization tracks we finish last or near last among every Western country. We don’t live as long as other Western people and we have more chronic illness. Things are getting worse for us, not better. And, we spend nearly 20% of our GNP on health care–over two-fold higher than any other Western country. > > Clearly taking more drugs is not the answer. I was on 8 rx.